Elias will have to be activated from the disabled list and another roster move will be made. The shuffle of pitchers continued Saturday and will likely carry into the coming days as the Mariners try to piece together a bullpen while also being cognizant of a rotation that needs the upcoming off day Thursday to get an additional rest for its fatigued starters. On Saturday, the Mariners made an expected roster move and an announcement. The team optioned veteran right-hander Christian Bergman back to Class AAA Tacoma after pitching 2 2/3 innings on Friday night in an 11-1 loss to the Dodgers. With the Mariners only carrying seven relievers, they needed a fresh arm and Bergman wouldn’t have been available for a few days. Right-hander Matt Festa was recalled from Class AA Arkansas to provide reinforcements. Festa made his big-league debut in a brief call-up before the All-Star break, pitching 2/3 of an inning without allowing a run. 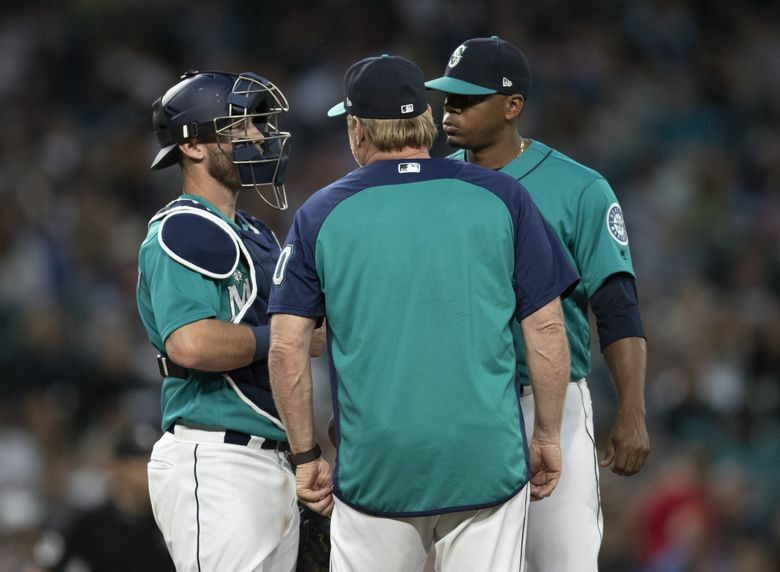 “We’re just trying to keep as many fresh arms as we can in the bullpen,” M’s manager Scott Servais said. In 39 relief appearances with the Travelers, Festa has converted 18-of-18 save opportunities, posting a 4-2 record with a 2.70 ERA. He’s struck out 58 batters while walking only 10. Servais confirmed that lefty Roenis Elias will make the spot start in the place of fellow lefty Marco Gonzales, who is getting a couple of extra days in between starts. Elias will have to be activated from the disabled list and added to the active roster. The Mariners will have to make room for Elias, meaning Festa’s stay could be brief. Elias has been on the disabled list with a triceps strain since July 29 after suffering the injury working out. He’s made three one-inning rehab appearances. The Mariners hope to get three innings from him. Is it difficult to see the big picture and not worry about the small picture of losing ground in the race for the second wild card? Jean Segura’s wife gave birth to a son, Jacob, on Friday evening. But Segura wasn’t back from paternity leave on Saturday. Servais wasn’t certain if Segura would return on Sunday.